(L-R) Saudi Crown Prince Mohammed bin Nayef, Saudi King Salman, and Saudi Arabia's Deputy Crown Prince Mohammed bin Salman stand together as Saudi Arabia's cabinet agrees to implement a broad reform plan known as Vision 2030 in Riyadh, April 25, 2016. American analysts and investors are taking a closer look at an ambitious plan to transform Saudi Arabia’s economy and society following a two-week tour by the scheme’s youthful architect and chief promoter — Deputy Crown Prince Mohammed bin Salman. Analysts say the plan, which calls for the biggest shake-up the kingdom has ever attempted, has the potential to modernize one of the world’s most socially conservative societies while liberating the country from its long-standing reliance on oil. It also runs the risk of destabilizing the desert kingdom with unforeseeable consequences. One of biggest challenges facing Vision 2030, as the project is known, is its prohibitive cost. FILE - Oil tanks seen at the Saudi Aramco headquarters during a media tour at Damam city, Nov. 11, 2007. Another risk? Rising oil prices, which in the past have undercut similar albeit less ambitious reform initiatives undertaken by Persian Gulf oil-producing countries. But the biggest risk is that resistance from a host of vested interests could upend the Saudi monarchy, destabilizing Saudi society and with it the whole Middle East. “Mohammed bin Salman’s vision is grand and, yes, disruptive enough that it is important to consider the consequences of Vision 2030’s failure, not just for the man but Saudi Arabia and the Middle East more broadly,” Steven Cook, a Middle East expert at the Council on Foreign Relations in Washington, wrote in a recent blog post. Cook compared Prince Mohammed, known as MBS, to another Arab “disruptor” with an affectionate nickname, Gamal “Jimmy” Mubarak, the son of former Egyptian strongman Hosni Mubarak, whose own reform project ultimately proved “destabilizing” for Egypt. But other experts say that if anyone has a chance to succeed, it may be the 30-year-old, Saudi-educated deputy crown prince — a quick decision-maker with no patience for bureaucracy. In the short span since his father’s accession to the throne in January 2015, he has been given unparalleled power and used it unfailingly to advance his political and reform agenda. As defense minister, he has pursued a spirited regional policy and led Saudi Arabia into a controversial war in Yemen. As chair of the Council of Economic and Development Affairs, he has cut government spending and, to the vexation of many Saudis, generous subsidies on gasoline, electricity and water. And as head of two bodies overseeing state oil giant Saudi Aramco and Saudi Arabia’s sovereign debt fund, he controls the kingdom’s vast oil and investment operations. Saudi Arabia's Deputy Crown Prince Mohammed bin Salman reacts upon his arrival at the Elysee Palace in Paris, June 24, 2015. The reform “is being driven by the personality of the deputy crown prince, who has taken a strong hand and assembled a strong team,” said David Callahan, a vice president at the U.S.-Saudi Arabian Business Council. MBS’s meteoric rise to power came as plunging global oil prices cut into Saudi Arabia’s economic growth and caused a $100 billion budget deficit last year, reversing a decade of prosperity fueled by a surge in prices. Uncharacteristically for Saudi Arabia, MBS disclosed details of his biggest reform initiative in an April interview with the financial news service Bloomberg before formally announcing it several days later. On June 6, Saudi Arabia launched the National Transformation Program, setting targets for the program through 2020. Among these are cutting public sector salaries and government subsidies, increasing the private sector’s share of economic activity, removing barriers to investment, boosting transparency and accountability, and creating more than 450,000 private sector jobs. 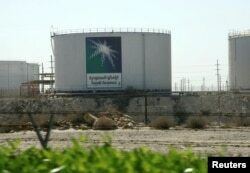 The centerpiece of the economic overhaul initiative is the proposed public listing of Aramco to make it the world’s biggest publicly traded company and the development of its investment fund into a $2 trillion behemoth. With those initiatives, the government’s non-oil revenue is forecast to climb astronomically, making Saudi Arabia vastly less reliant on oil. But Vision 2030 isn’t just about diversification. It includes an array of social initiatives, including doubling the number of women in the workforce, increasing the number of women in top government posts to 5 percent from 1.2 percent, and developing national parks (quadrupling the area per capita) in a bid to promote domestic tourism. With much of the plan’s success resting on foreign investment, Prince Mohammad spent two weeks barnstorming through the United States last month in what was a cross between a road show and meet-and-greet with power brokers. He had a rare Oval Office meeting with President Barack Obama and met with House Speaker Paul Ryan. While his meetings with official Washington’s heavy hitters dominated press coverage, a larger focus of his visit was Wall Street and corporate America. Whether in Washington or Silicon Valley or New York, the prince met with business titans and used every opportunity to pitch Vision 2030 to them. In Washington, he met with CEOs and business leaders representing energy, defense, health care and IT industries at an event organized by the U.S. Chamber of Commerce. In Silicon Valley, he met (clad in jeans and a sport coat in place of his royal robe) with Facebook founder and CEO Mark Zuckerberg and Twitter CEO Jack Dorsey. In New York, he met with businessmen, including former Mayor Michael Bloomberg, and CEOs of major Wall Street firms clamoring for a piece of the huge stock and bond offerings for which the Saudis will need advisory and underwriting services. To underscore its commitment to attracting foreign investment, Saudi Arabia, during MBS’s visit, granted operational licenses to chemical giant Dow Chemical and manufacturing conglomerate 3M and signed memorandums of understanding with Microsoft and IT leader Cisco. “The Saudis are really putting their best foot forward, and I think investors and businesses alike here in the U.S. see opportunities across the spectrum,” Lutes said. But others said investors and businesses are taking a wait-and-see approach. Business deals aside, how the Saudi populace reacts, after having grown accustomed to easy-to-get government jobs and generous government benefits, is another question mark hanging over the plan.